These are some candid shots of a few of our paints. Followed by a listing of most of our paint horses, some for sale and some that are our broodmares whose offspring are for sale. Enjoy! Some of the mares who are listed below are for sale and can be sold as a 2-in-1 or 3-in-1 package. Inquire for prices and availability. Please note some of these mares are not for sale, but their foals or future foals are for sale. 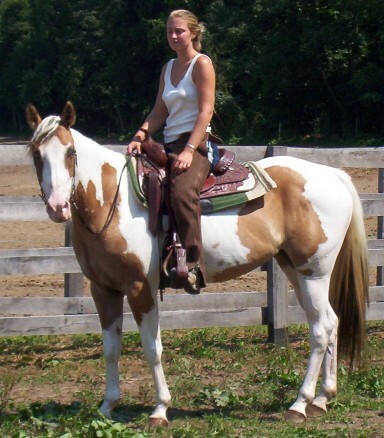 Most of the mares on this page are currently used in our trail riding business. They are quiet and level headed and cross creeks, bridges, mud, and are traffic safe. They are well broke and are great riding horses in addition to being proven broodmares. Some of these mares are suitable for children as well as adults. All of our horses are very level headed, have straight legs, nice feet, and good conformation. 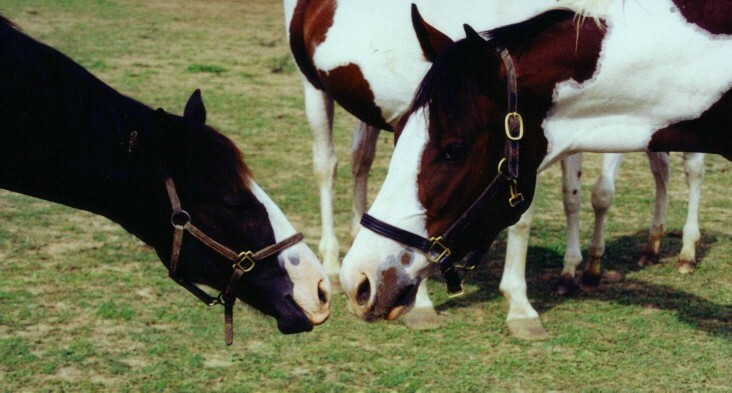 Most of our horses are homebred and raised which we feel gives us the ability to select mares and stallions who pass excellent conformation, gaits, and personalities. The horses that are home bred are all imprinted and are trained using natural horse training methods including de-spooking. 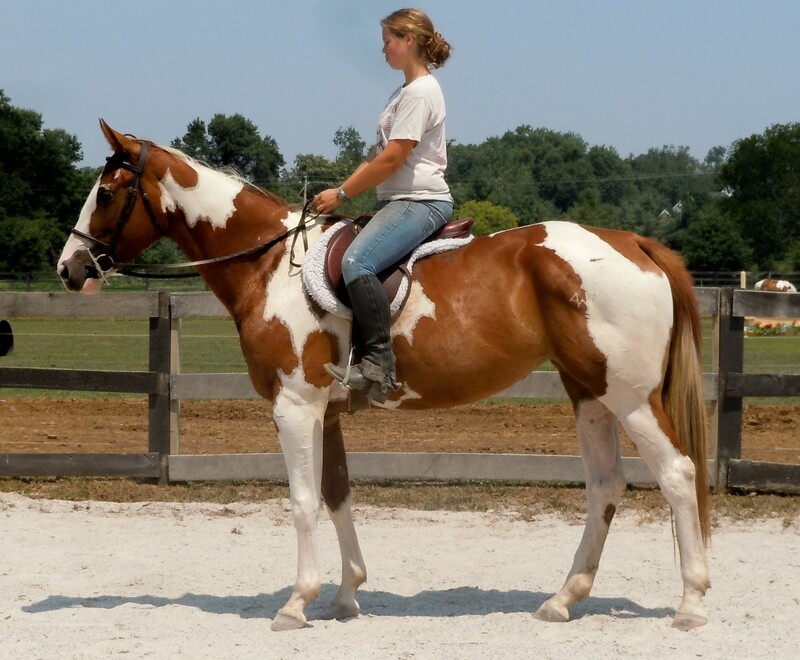 Home Raised, LCS Sky Bug Bingo "Winston": (D.O.B 5/10/05)APHA registered gelding. He is a very tall, very flashy colt who loves people and is great with shots and worming. He is currently 16-16.1 hands. Winston is currently being used in our riding program. Dam: RB Kind Lady "Chica" Sire: Leeways Chaps Click here for more photos of Winston. Click here to see his siblings: Renegade, Hannah, Hamilton, Jade. Please click here for Winston's extended pedigree. Home Raised, LCS Skipper Way"Hamilton", (D.O.B 5/29/06) Chica's 2006 Colt. 15.3 Apha registered. Quiet tempermant, loving personality, flashy colt. Sire: Leeway's Chaps. 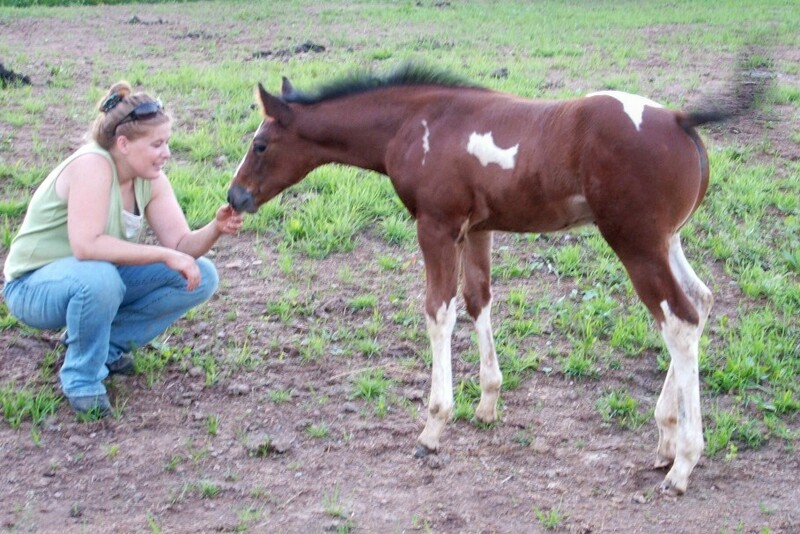 Tri-color tobiano colt. For sale $14,000 . Please click here for more photos of Hamilton. Please click here for Hamilton's extended pedigree. Hamilton is best suited for a strong intermediate to advanced rider. He is a natural when it comes to jumping 3' plus. He also enjoys trail riding; crossing creeks and riding around animals and traffic. We will continue to trail ride Hamilton and try to get him to a few jumper shows this year. 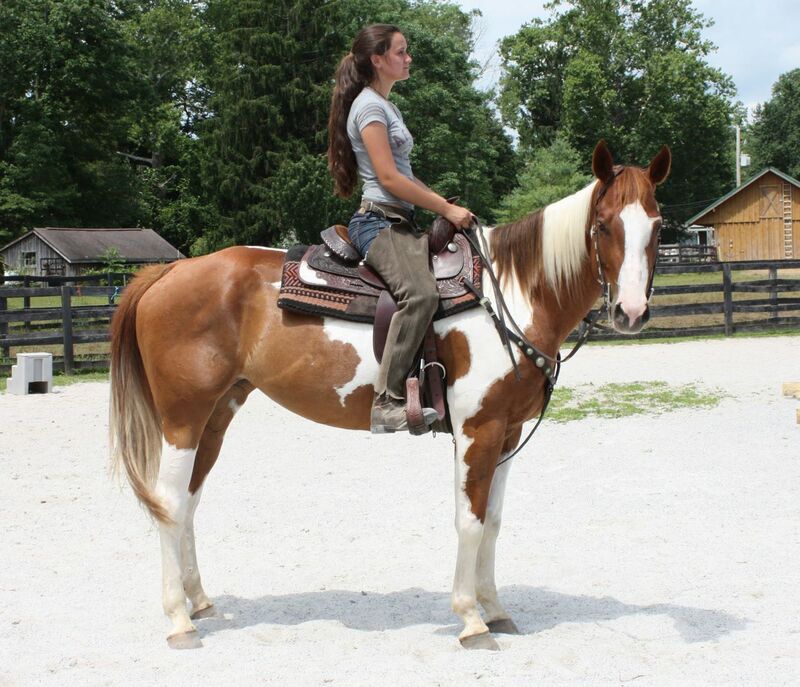 LCS TUFFERN Q TON, "Montana" Savannah's 2007 Bay Tobiano gelding. 15.3 Hands. Reg. APHA. You can view his other siblings by clicking on his dam. I will have more photos listed soon. Sire is Leeways Chaps. $9,600 Please click here to see Montana's extended pedigree. Montana has been started under tack as of 2013. We will continue to put more hours on him both in the ring and on the trail. LCS DESIGNATED HITTER,"Jade" Chica's 2007 filly APHA Registered. 15.3 hands and growing. This is another large boned tall filly out of RB Kind Lady by Leeways Chaps. 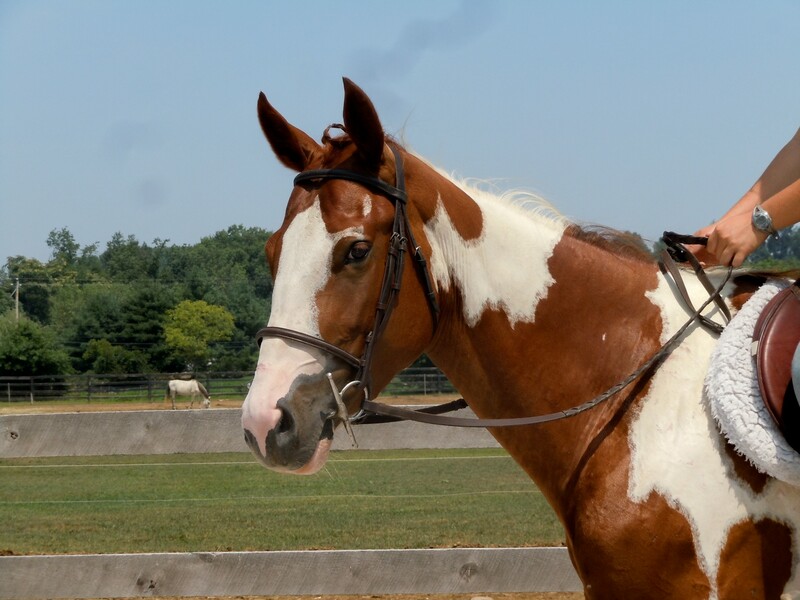 She is a flashy mare that will have that laid back quiet personality. She will excel in both English and Western. $9,800 Please click on her sire and dam for pedigree. Click here for more pictures of Jade under tack. Please click here for Jade's extended pedigree. Jade is suitable for the beginner thru advanced rider. 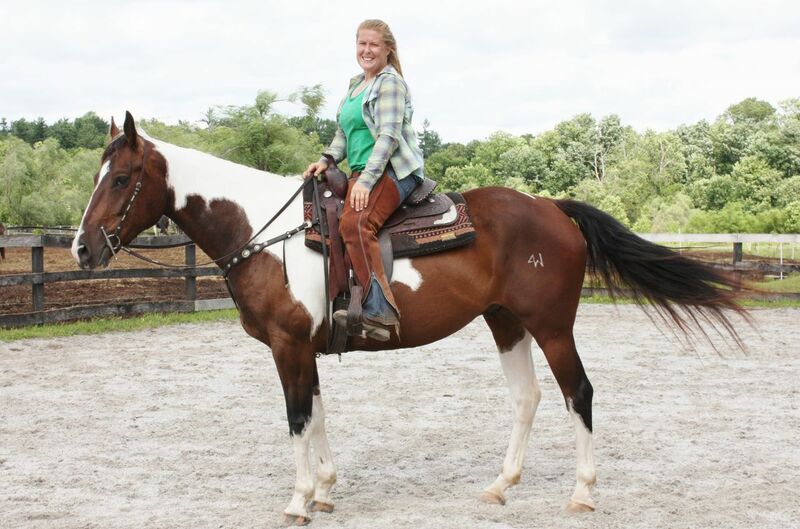 She has a great personality for someone who is timid and has great size for the taller rider. 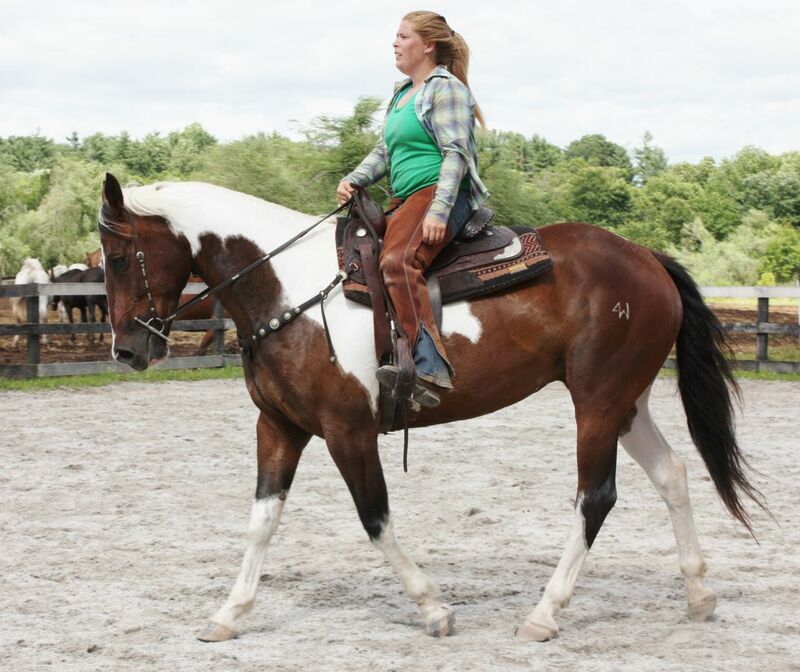 Jade is currently in our riding program and will continue to be used in the program . LCS POCO CUTTER "Toby" Carolina's 5/25/2008 Reg. 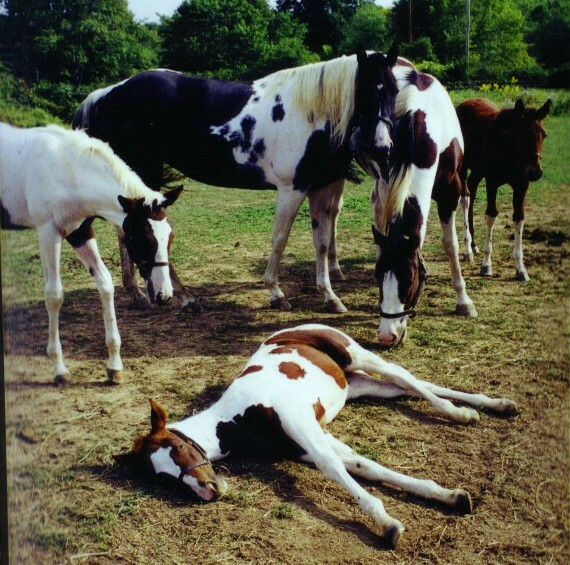 APHA dun tobiano foal. He is currently 15.2 hands. Dam: Carolina Reg. APHA Sire: Leeways Chaps. Click here to see siblings: Colorado and Nadia. Please click here for extended pedigree. $8,900 Click here for more pictures of Toby. "Shiloh" 2009. $8,100 Sir: Leeways Chaps Dam: Savannah For pedigree please click on Montana's, Cadence's or Sierra's pedigree. Shiloh is a nice compact filly. She will be started under saddle summer of 2013. Then she will continue to get more experience on both the trails and in the ring. Click here to view more pics of Shiloh under tack. Arapaho Cowgirl "Carolina": 5/25/98. 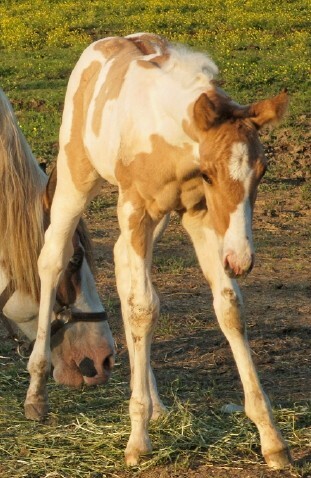 15 hands Homozygous Registered tobiano APHA mare. She is so quiet and gentle that children and beginner adults can ride her. She has excellent bloodlines including Skipper W, Leo, Joe Reed II, Dan Waggoner, Bert, Plaudit, Three Bars, King, Poco, and Q Ton Pepsy. Click here for her Pedigree. Carolina is not for sale. Carolina's 2005 foal Nadia , her 2007 colt Colorado and her 2008 Dun Tobiano colt, "Toby"are for sale. To see more photos of Carolina click here! Carolina is only listed as a reference mare as I no longer own her. 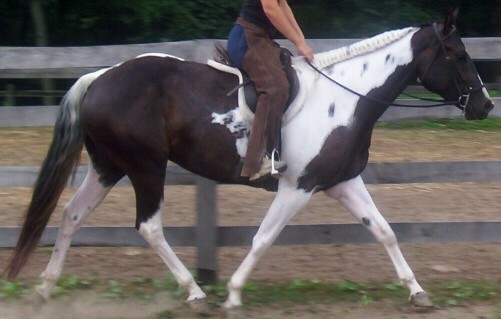 Tuffern Q Ton "Savannah": 5/3/99 15.1 hands Homozygous Registered tobiano APHA mare. Savannah is an extremely well built mare with outstanding conformation and a baby doll head. 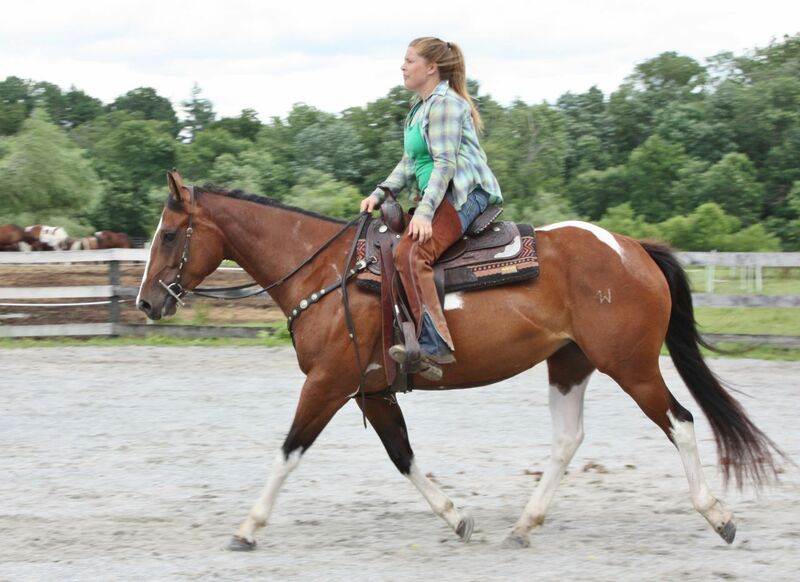 Savannah is broke to ride and has very comfortable gaits. She has great bloodlines including Skipper W, Hank-A-Chief, Poco Star, Three Bars, Bill Cody, Wimpy, Q Ton Eagle, and Leo San Siemon.Click here for pedigree. All of Savannah's foals will be paints no matter who she is bred to. Savannah is not for sale, however her offspring by Leeway's Chaps are for sale, Cadence(2006 filly), Montana(2007 gelding) , her 2008 filly, "Sierra. ", and her 2009 Filly, Shiloh. Click Here to view more photos of Savannah!